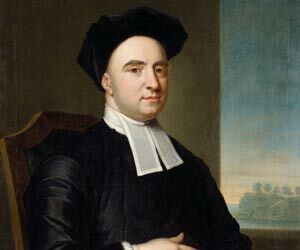 George Berkeley was a philosopher, primarily known for his empiricist and idealistic philosophy. This biography of George Berkeley provides detailed information about his childhood, life, achievements, works & timeline. George Berkeley, an Anglo-Irish Anglican bishop, was one of the great philosophers of the modern era. He is known for his empiricist and idealistic philosophy. Idealism is the belief that everything that exists depends upon the mind for its existence and that reality consists of whatsoever is perceived by the senses. 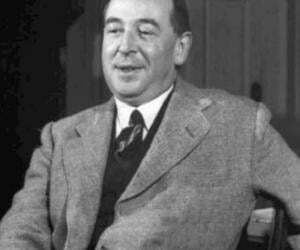 He is regarded as one of the three most influential British Empiricists along with John Locke and David Hume. Berkeley is the major contributor to the theory of ‘Subjective Idealism’ that claims that that the only things that exist are the minds and contents perceived by the minds. The theory is associated with ‘Immaterialism’, an assumption that material things do not exist. He was of the belief that all physical objects ‘exist’ because they are perceived to be in the minds of the individuals. He felt that perception could be the actual perception of an entity that an individual has or the possible perception if the individual perceived something in a particular manner. As a metaphysicist, he criticized the idea of materialism, and focused on the study of the relationship between mind and matter, the nature of reality, fact and value, etc. He produced many texts on philosophy, the major one being ‘A Treatise Concerning the Principles of Human Knowledge’. He was born as the eldest son of William Berkeley, an Englishman, in Ireland. 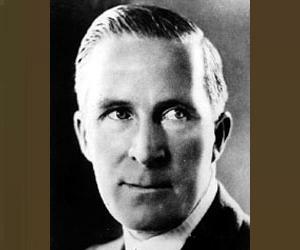 He considered himself Irish in spite of his father’s English roots. He enrolled at Kilkenny College in 1696. Later on he attended Trinity College, Dublin and received his B.A. in 1704. His association with the Trinity lasted till 1724, though not all the years were spent in residence. 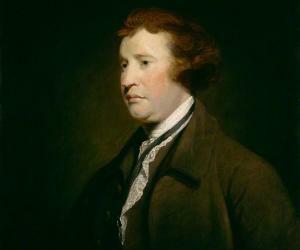 He completed his master’s degree in 1707 and became a junior fellow. He was ordained as an Anglican priest in 1710. After the completion of his doctorate, he became a senior fellow in 1717. He started publishing his works while at Trinity College. His first work on philosophy, ‘An Essay towards a New Theory of Vision’ was published in 1709. He discussed topics like visual distance, magnitude, issues of sight and touch, etc. in the book which created controversy at that time. In 1710, he published ‘A Treatise concerning the Principles of Human Knowledge’. In this book he attempted to refute claims about the nature of human perception as made by John Locke. His next book, ‘Passive Obedience’ which dealt with issues of moral and political philosophy was out in 1712. The much celebrated ‘Three Dialogues between Hylas and Philonous’ was published in 1713. He discussed the concepts of perceptual relativity and observer’s perceptions in this work. 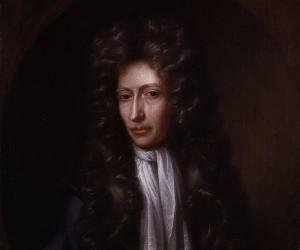 He published his essay on motion, ‘De Motu’ in 1721 in which he rejected the concepts of absolute space, time and motion as propounded by the scientist Sir Isaac Newton. He earned his doctorate in divinity in 1721 by taking Holy Orders in the Church of Ireland, and lectured in Divinity and Hebrew at Trinity College Dublin. Later that year, he was made the Dean of Dromore and in 1724, the Dean of Derry. He was appointed as the Bishop of Cloyne in Ireland in 1734, a position which he held till his retirement in 1752. In 1744, he wrote a book on the virtues of pine tar and the various uses to which it could be put. The book was titled ‘Siris: a Chain of Philosophical Reflexions and Inquiries Concerning the Virtues of Tar Water’ and was followed by ‘Further Thoughts on Tar-water’ in 1752. His first major work was ‘Three Dialogues between Hylas and Philonous’ (1713) that discussed the concepts of perceptual relativity, conceivability and phenomenalism. In the book, his metaphysical views are expressed in the form of a dialogue between two characters, Hylas and Philonous. His essay on the nature of motion, titled ‘De Motu’ (1721) rejects many of Sir Isaac Newton’s notions of space, time and motion. He argued that motion should not be considered as an abstraction separate from time and space. ‘Alciphron’ was a philosophical dialogue published in 1732 which is presented in the form of dialogue between four characters, who depict the free-thinkers Alciphron, Lysicles, Euphranor and Crito. His book ‘Siris: a Chain of Philosophical Reflexions and Inquiries Concerning the Virtues of Tar Water’ (1744) was among the last of his major works. He discussed the various medicinal uses of tar water, and commented on a variety of seemingly unrelated topics such as science, philosophy and theology. In 1728, he married Anne Forster, the daughter of the Chief Justice of the Irish Common Pleas. The couple had seven children out of whom only three survived childhood. He took active part in humanitarian work to help abandoned children in London. He was one of the original governors of the Foundling hospital, established by Royal Charter in 1739. He was a cheerful, friendly and kind man who was well loved by everyone who knew him. He retired in 1752 and went to live with his son. He died at the age of 67. The city of Berkeley in California is named in his honour. He is credited to have influenced many modern philosophers, especially Immanuel Kant and David Hume.